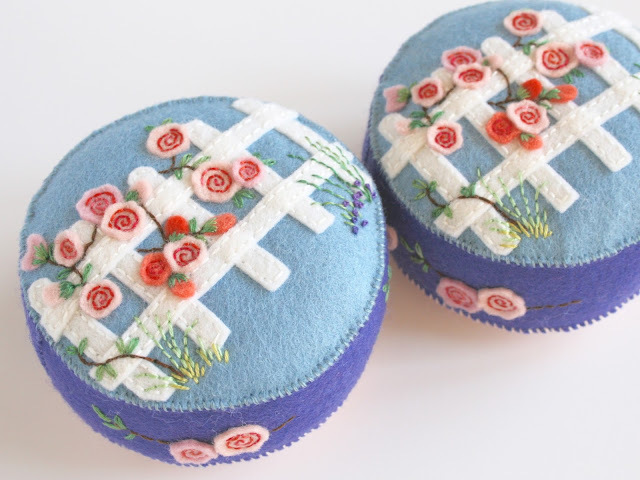 I finished these two pincushions yesterday evening. They depict that very American of things, a white picket fence with a fragrant rambling rose tumbling over it. 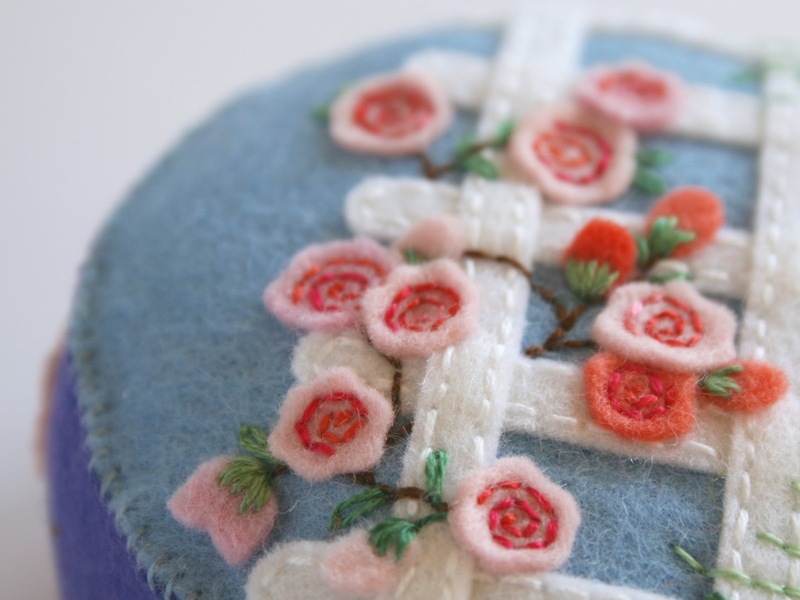 I have used three shades of pink for the roses and they are the colors of roses in my garden. 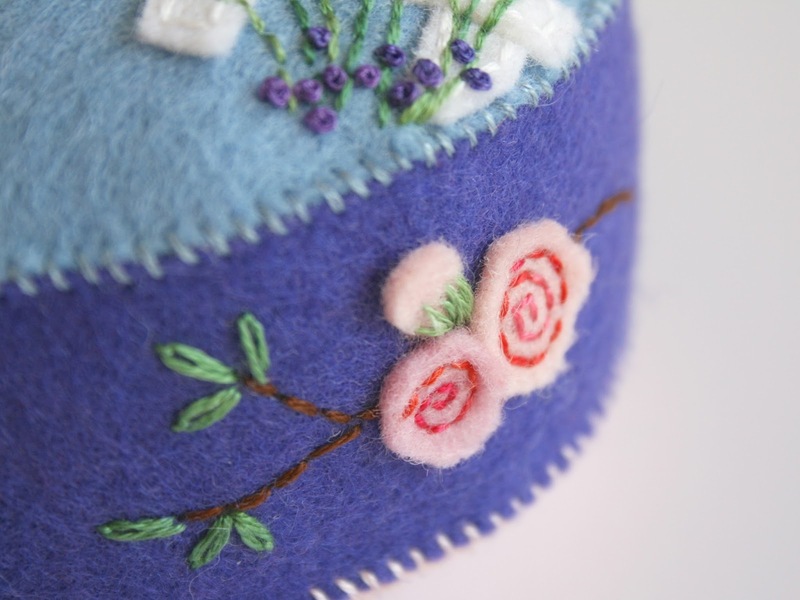 The felt I use is 100% merino wool felt and is SO soft and lovely to sew with. It is also certified free of any pesticides or harmful chemicals in every step of the production process, from the sheep fleece to the dyes used. I buy the felt here in the U.S. but it is imported from Holland. 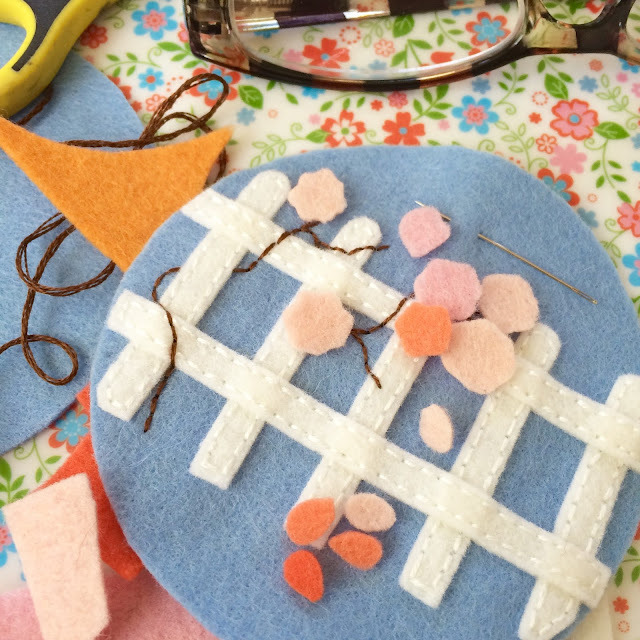 I could save a few dollars and use a lesser quality felt but then I wouldn't feel so good about my product. 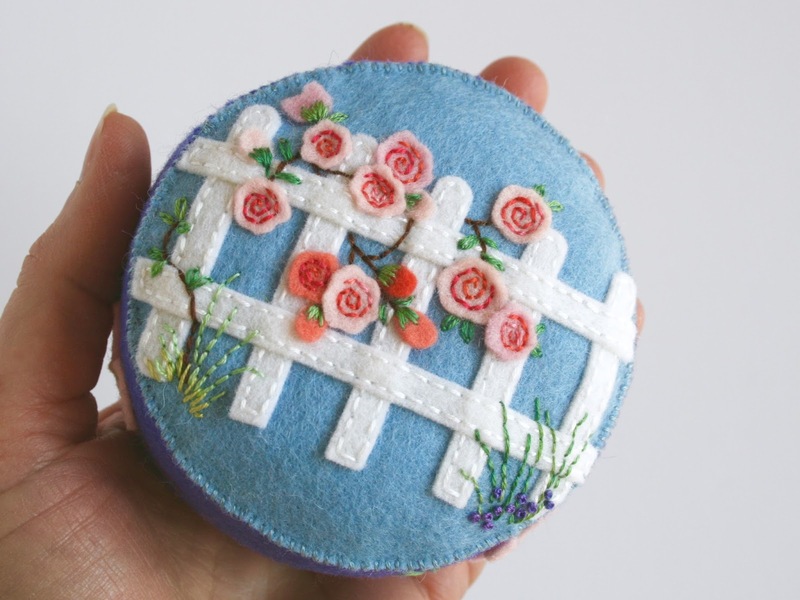 You can find this pincushion in my Etsy shop.